I’m suffering from a weird syndrome where the only alcohol I can tolerate is good tequila (it’s called “wish I were in Mexico” syndrome). Wine gives me a headache; beer makes me too full; other hard liquor leaves me goofy. I figure, if it has to be tequila, it might as well be the good stuff. So I emptied my wallet to procure a bottle of golden, 100% agave añejo (aged) Patron. Then I started experimenting with margarita recipes and found that what I really love is a Paloma (essentially a grapefruit margarita). Use real grapefruits and real limes; no cheating with bottled citrus juice. You can use silver tequila or a less expensive brand than the one I do, but make sure it’s 100% agave. Otherwise I guarantee you will have a headache. Fill a cocktail shaker about half full with ice. 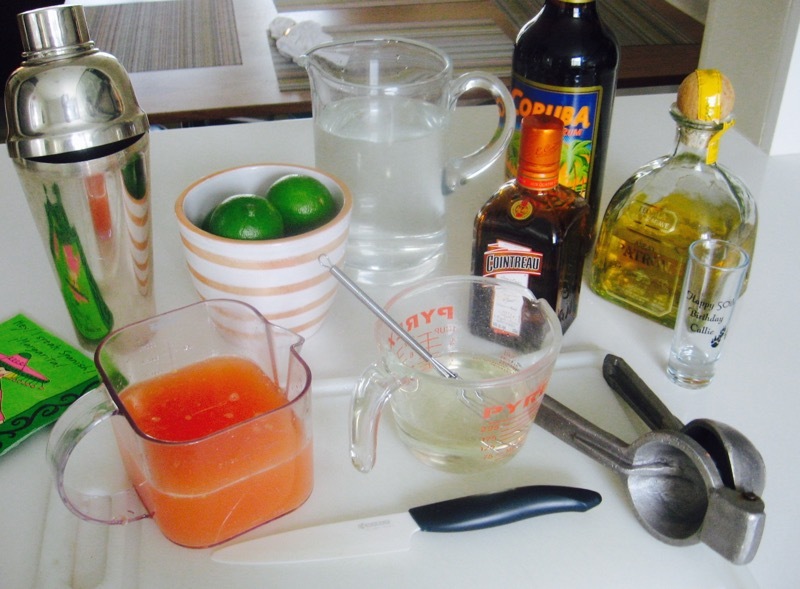 Add tequila, grapefruit juice, lime juice and simple syrup. Shake well, then pour into a margarita glass or other stemmed cocktail glass, salted rim optional. Or, pour over rocks in a highball glass. Garnish with lime peel and drink up! note: to make simple syrup combine 1/2 cup granulated sugar and 1/2 cup water in a small pot. Bring to a boil, swirling pot so sugar dissolves. Boil 3 minutes, then turn off heat and let cool. 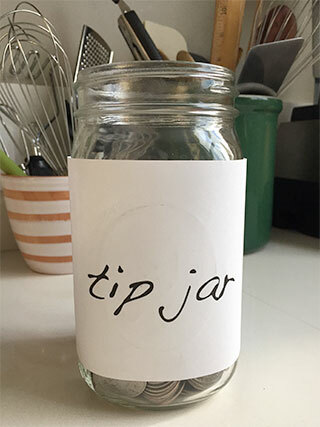 Store in a jar in the refrigerator for up to 2 weeks.